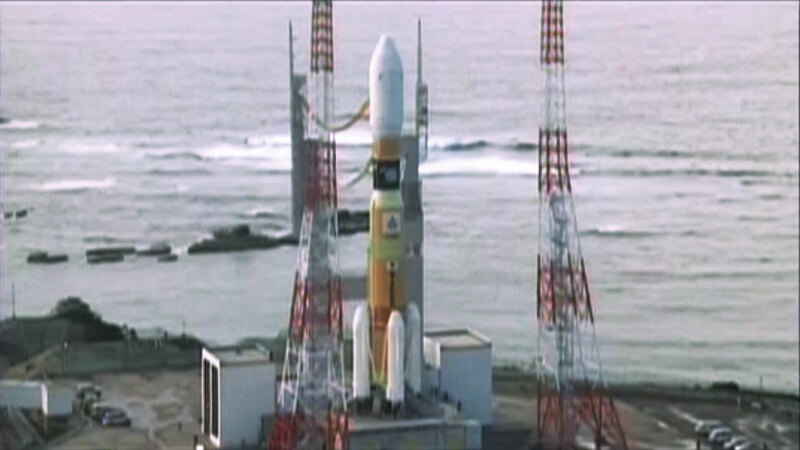 Japan’s H-IIB rocket carrying the “Kounotori” HTV-5 is at its launch pad at the Tanegashima Space Center. Preparations are under way for the Japan Aerospace Exploration Agency (JAXA)’s scheduled launch of an H-IIB rocket at 7:50 a.m. EDT on Wednesday, Aug. 19 from the Tanegashima Space Center in southern Japan. Live coverage of the launch begins at 7 a.m. on NASA Television and https://www.nasa.gov/nasatv. The launch vehicle will send the Kounotori H-II Transfer Vehicle (HTV-5) into orbit on a five-day rendezvous with the International Space Station. Kounotori means “white stork” in Japanese, and the HTV-5 will deliver more than 8,000 pounds of equipment, supplies and experiments in a pressurized cargo compartment. The unpressurized compartment will be used to deliver the 1,400-pound CALorimetric Electron Telescope (CALET) investigation, an astrophysics mission that will search for signatures of dark matter and provide the highest energy direct measurements of the cosmic ray electron spectrum. Find more information about the research being delivered to the unique orbiting laboratory at https://www.nasa.gov/mission_pages/station/research/news/htv5_launch. CONGRATULATIONS TO ANY ASTRONAUTS OR COSMONAUTS OS ANY HUMAN BEING THAT TRAVEL TO THE SPACE.